Since you are new to real estate, you should consider hiring a professional real estate agent. He will serve as your guide from making your house appealing, marketing it to both digital and real world, and entertaining potential buyers. A good real estate agent will be able to sell your house at the highest price rate for you. Therefore, you should be careful in choosing one because most of the time you will rely on them for suggestions and advice. In order to make it appealing to your potential buyers, you might want to clean your house to make it more presentable. If possible, you should remove furniture and appliances in order to let them see how big each room is. If there are damages that are needed to be repaired, you should consider repairing it because it can help you to increase the value of your house. 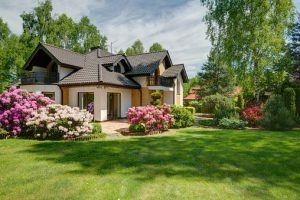 In order to stand above the crowd, your house should be unique and appealing to the customers. Just that means that you should consider installing up-to-date windows or systems that can increase the value of your house. Aside from providing a visually attractive property, you should also prove that it is durable and the buyer is not required to do some repair every now and then. In short, sell your house in a great condition. Make sure that there is no major repair or renovation that needs to be done before the buyer can move into their new house. In short, once the buyer had bought the house, he should be able to use appliances, the doors and windows should be in good condition and everything is in order. Make your house ready for “moving in”. When it comes to pricing, you should talk to it with your real estate agent. Make sure that the price is not above market value and not too low especially if you have upgraded it before introducing it into the market. You should also consider putting yourself in the buyer’s shoes if you are offering the right price for your house. Now that you know the factors that you have to consider, look for a professional real estate agent now and start working on selling your house. It might require a lot of work to do, if you are able to sell your house at the highest possible value then it would be all worth it because selling a house has never been easy. Selling your home is not as easy as snapping a picture of it, posting it online or launching it to the market, and then having a buyer in just a few days. There are lots of processes that you have to go through in real estate in Texas. And if you are a first-time seller, it is highly advisable that you hire a real estate agent. They can help you introduce and expose your house to the potential buyers. So, what are the factors that you have to look for a real estate agent? Since you are selling a house for the first time, you should make sure that you are working with an experienced real estate agent. He will serve as your guide in order to help you sell your house. Real estate agents also help the buyers to look for the house that is right for them. Therefore, the very first thing that you have to consider is their experience in real estate. If they have enough experience they you can rest assured that they will be able to secure your business. You will always want to sell your house at the highest possible value. Only an experienced real estate agent can do that for you. You should also make sure that your real estate agent has his own marketing strategies in launching and exposing your house to the market. Especially in digital marketing strategies because buyers tend to check the internet first for available houses for sale, therefore your house should be appealing. By hiring a potential photographer and putting the right description, you will be able to attract a large number of potential buyers. Your buyer will most likely negotiate with you regarding the price of the house. 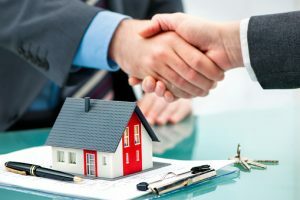 Therefore, your real estate agent should be expert in negotiating in order to give you the highest possible amount of money that you could have for your house. It is also the responsibility of your real estate agent to provide you with the date of the high list to sales ration. In that way, you will have an idea on the best price for your house and the highest value you could receive from your buyer. Your real estate agent should understand that you cannot offer a fixed commission because you cannot assure that you’ll be able to receive the fixed amount of money from the buyer. As much as possible, do not hire a real estate agent that are just willing to lower their commission if they ask you to because they would most likely lower the price of your house just to make a transaction with the buyer. These skills should be all present in your real estate agent. Think of yourself as a newbie to the real estate world. With a professional real estate agent by your side, you will certainly get the price that your house deserves. First things first, you should make sure that you have enough finances to buy a house. Evaluating your finances can help you to determine how much can you afford in buying a house. Investing in a property will require you to ask for professional help from financial consultants in evaluating where you stand financially. 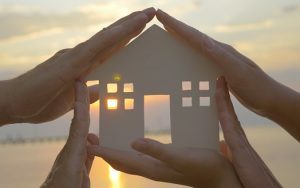 In that way, you will be able to make a better decision on the next step that you are going to have in buying a house. It is very important that you do not overspend in investing a property, because it can greatly affect your financial stability in the future. Creating a budget is important and sticking to it is more important so that you’ll avoid getting lured into attractive properties if it cannot stick within your budget range. You should only limit your search to houses where your budget can afford. You know too well how important the location is in searching for the property that you wanted to buy. A great location is where you can have easy access to the school, hospital, shopping malls, and downtown. Always remember that the location of the house can also affect the price. The more it is convenient, the higher its price will be. In that case, you should weigh the pros and cons of the location before you consider visiting the house for inspection. You should inspect every inch of the house to see if the price is really worth it. Even if the seller is offering a huge discount but you found out that the plumbing system, heating, and cooling system is not working properly anymore, it will definitely cost you a lot in the near future. Make sure that before you finally buy the house, you calculate all the maintenance and repair works that you have to make in making sure that it’d be really worth your money. Before you finally consider buying a house, you should get a life insurance first. In that way, you can rest assured that even in your absence, your family will be able to pay off the home loans that you left. What’s the point of going all through processes of buying a house if you can’t keep it in the future? These are the factors that you always have to consider before you finally buy a house. It can guide you in making better decisions so that you will be able to buy the right house at the best deal. If you are going to buy a house, you should be financially prepared. Therefore, you should not invest in anything that requires a large amount of money a couple of months before you look for a new house. Instead, you should save it all in order to make sure that you can create a budget. Having a budget will make it easier for you to look for the right house to buy. This is the most common mistake, especially garcinia for first-time buyers. They tend to follow their emotions of falling in love with the appearance of the house, not even bothering to know its advantages and disadvantages. If you want to make the most out of your money, you should make sure that the house that you are going to buy is the one that is convenient for you and your family and of course, the house that you can really afford. If you think you can afford the house after just a little negotiation with the seller, then you should learn the art of negotiating. Getting the best deal for the house that you wanted to buy is your main goal here. But don’t go too low for your first offer or it might annoy the seller and turn you down. Make sure that you slow down and test the water every now and then. In that way, you will be able to control the negotiation with the seller. It isn’t only enough that you love the house and you can afford for the price. You should also make sure that the neighborhood is the one for you. What’s the point of having a fancy house if you cannot sleep well at night because of your noisy neighbors? Buying a house requires several factors that you have to consider. This could be your lifetime investment, and it will play a major role in your life for the next couple of years. You should be able to choose the right house. Just keep these tips in mind to help you set off on the right track.